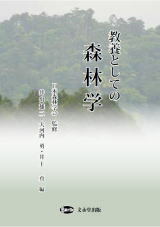 抄録：　Reviews of the current statuses of forests and the impacts of climate change on forests exist at the (sub)continental scale, but rarely at country and regional levels, meaning that information on causal factors, their impacts, and specific regional properties is often inconsistent and lacking in depth. Here, we present the current status of forest production and biogeochemistry and the expected impacts of climate change on them for Belgium. This work represents a case study for the temperate oceanic zone, the most important bioclimatic zone in northwestern Europe. Results show that Belgian forests are mainly young, very productive, and have a high C-sequestration capacity. Major negative anomalies in tree vitality were observed in the 1990s and—as result of disturbances—in the last decade for sensitive species as poplars and European beech. The most severe disturbances were caused by extreme climatic events, directly (e.g. storms) or indirectly (e.g. insect outbreaks after a mild autumn with an early/severe frost). Because of atmospheric deposition and soil fertilization (due to the previous use of the land), nutrient stocks of Belgian forests are likely to sustain the future enhancement in productivity which is expected to follow the increase in atmospheric CO2 concentration that will occur in years to come. However, in the long term, such (enhanced) forest production is likely to be limited by nutrient deficiencies at poor sites and by drought for sensitive species such as beech and (particularly) Norway spruce. Drought conditions will likely increase in the future, but adverse effects are expected on a relatively limited number of tree species. The potential impacts of windstorms, insects and fungi should be carefully investigated, whereas fires are less of a concern. 抄録：　Major changes in Mediterranean forests have occurred in recent decades, mainly as a result of the abandonment of traditional activities and population decline in rural areas. In this study, we analyzed the short-term (11-year) evolution of forests in the region of Catalonia (NE Spain) and the role of management, by comparing seven biodiversity indicators estimated from 7,664 plots from the Second and Third Spanish National Forest Inventory. We evaluated the changes in unmanaged and managed stands with different silvicultural treatments, and considered the effect of stand density and land ownership on these dynamics. We found a general naturalization and maturation of forests and an increase in all of the biodiversity indicators investigated during the study period, with the increments being greater in unmanaged than in managed plots. Some types of silvicultural treatments, such as selection cutting or thinning, were shown to be compatible with an increase in the analyzed indicators, and thus were more adequate for a multifunctional management that considers forest production together with the maintenance or improvement of the diversity of forest communities. The increases in shrub species richness and in the number of large-diameter trees after silvicultural treatments were more prominent in dense stands. Private lands presented greater short-term increases than public forests in all biodiversity indicators, except for large-diameter trees. From these results, we concluded that the application of silvicultural treatments can be a key tool to shape and maintain diverse and healthy forest structures in the context of socioeconomic and environmental changes in the Mediterranean region, which may induce potentially excessive densification and homogenization of some forest stands and landscapes. 抄録：　For efficient forest fire management, special precautions are required in dry and strong-wind seasons vulnerable to severe forest fires. To extract the seasonal characteristics of forest fires in South Korea, the statistics over the past 16 years, 1991 through 2005, were investigated. The daily records of the number of fire occurrences, the total area burned and the average burned area per occurrence were examined to identify the seasonal patterns of forest fires using cluster analysis and principal component analysis; the risk of daily fires was also assessed using the ordered logit model. As a result, the fire patterns were classified into five clusters and a general danger index for forest fires was derived from the first principal component, showing relatively large-scaled fire regimes in spring, and frequent small-scaled fire regimes in autumn and winter. In connection with the ordered logit model, the probability for the five ranks of forest fire risk was calculated and the threshold for high-risk fires was detected. As an implementation of the results above, the proper forest fire precautionary period in South Korea was estimated, and consequently October 21 through May 17 was recognized as a dry season at a high risk of forest fires. This period began 10 days earlier in autumn and extended into midwinter (late December and January) as opposed to the existing precautionary period, indicating the need of more cautious forest fire management earlier in autumn and continuing through midwinter. 抄録：　An unusually severe snow disaster in southern China in 2008 exposed variation among different species of bamboo: some species were highly tolerant to low-temperature damage, but some suffered extensive damage or death. Therefore, this study was conducted to determine the effects of cold stress on endogenous hormones and the expression of homologs of CBF1 in four bamboo species differing in their tolerance to cold. All four bamboo species were subjected to cold stress with a temperature gradient (10, 5, 0, −5, and −10°C), and each low temperature treatment was maintained for 48 h. Results showed that ABA, GA1, and GA4 were significantly affected by cold stress: ABA increased with cold stress in all species, while GA1 and GA4 reduced with cold stress. ABA levels and the ratio of ABA/(GA1 + GA4) in leaves of Neosinocalamus affinis and Bambusa rigida were both higher than those of hybrid bamboo (Bambusa pervariabilis × Dendrocalamopsis grandis) and Dendrocalamus latiflorus for all treatments, while GA1 and GA4 were conversely lower as compared to the hybrid variety and D. latiflorus. Moreover, CBF1 homolog was up-regulated during cold stress, with higher expression levels in the leaves of cold-tolerant species than cold-sensitive ones. Results revealed that high levels of ABA and CBF1, as well as the ABA/GAs balance, are important in increased plant resistance to cold stress. 抄録：　Tree structural diversity is assessed by modelling stand diameter at breast height (DBH) distribution. The aim of this study was to verify the suitability of a mixture of two- and three-component Weibull and gamma models for describing irregular and multimodal DBH distributions. Investigations were carried out in natural Abies alba Mill. and Fagus sylvatica L. stands, representing the growing-up stage, in the Świętokrzyski National Park (Central Poland) and in the Pieniny National Park (Southern Poland). Sample plots (0.25–0.5 ha in area) were selected from a database used for forest dynamics analysis. The parameters of the mixture model were estimated using maximum likelihood estimation (MLE) and a combination of an expectation–maximisation (EM) algorithm with a Newton-type (NT) method. The multistart method (MM) of choosing initial values was used. The DBH distributions in mixed Abies–Fagus forests of complex structure were accurately approximated by two- and three-component mixture models. The root mean square error (RMSE) values varied from 3.4515 to 7.6682 for the Weibull mixture and from 3.6457 to 7.1419 for the gamma mixture. The results indicated that the mixture Weibull and gamma models were, in general, equally suitable for modelling irregular and multimodal DBH distributions. Finite mixture models may be used to characterise tree structural diversity, especially in uneven-aged stands of complex structure. 抄録：　This investigation has focused on the content of heat shock proteins (Hsps) and dehydrins (dhn) in the needles of Pinus sylvestris L. (common pine) depending on environmental conditions and on adaptation of photosynthetic activity. Unlike the case of photosynthetic activity, no relationships have been revealed between variations in environmental conditions over 2 years of observations and variations in Hsps content. It has been discovered that constitutive and stress forms of Hsp70, Hsp60 and dhn are accumulated in the cold season of the year, whereas for Hsp17.6 and Hsp101 this accumulation occurs in the warm season. Seasonal air temperature variations influenced the content of Hsps; variations of temperature and moisture conditions influenced the content of dhn. The supposition is made that accumulation of Hsp70, Hsp60 and dhn in the needles may be the factor and/or the marker of the autumn and spring adaptation of the photosynthetic apparatus, while accumulation of Hsp17.6 and Hsp101 is the marker of summer “heat” adaptation. 抄録：　This paper analyzes the effect of the spatial characteristics and intensity of land use on vascular plant species richness in Castanea (Chestnut) woodlots of the northwestern Iberian Peninsula included in the category “9260 Castanea sativa woodland” (Annex I, DC 92/43 European Community). Digital maps were used to characterize 30 woodlots for which land use intensity was estimated and all plants found were inventoried. The results show that woodlot shape and land use intensity have a significant effect on vascular plant richness and indicator species number. However, an analysis of the interaction between woodlot characteristics and land use intensity suggests that the response of vascular plant species to land use intensity does not exhibit a uniform pattern and that it is modulated by the shape of the woodlots. We conclude that restricting the use of these types of woods to traditional practices must be determined in keeping with the specific characteristics of each woodlot, since the moderate management of Castanea sativa woodlots of the northwest Iberian Peninsula may continue to play an important role to maintaining plant species diversity in this area. 抄録：　Pinus halepensis forests are among the forest ecosystems in the Mediterranean Basin most affected by fire. Their distribution across lowland areas, in particular along the wildland–urban interface, increases the need to understand their ecology and responses to fire regime for their effective management. Apart from the extremely flammable tree layer, in several stands of these forests there is an increased fuel load attributed to the well-developed understorey of evergreen sclerophyllous shrubs. Taking into consideration that, in contrast with the long period required for full development of post-fire-regenerating pines, these shrubs resprout vigorously within the first post-fire weeks, it is important to explore the temporal trend of fuel accumulation to determine the risk of a second fire across a burned landscape. Two post-fire chronosequences of, in total, 12 P. halepensis stands were considered for sampling in Central Greece. The first chronosequence corresponds to pine stands characterized by the dominance of evergreen sclerophyllous shrubs in the understorey (Type 1) whereas the second chronosequence corresponds to pine stands where the cover of such shrubs was lower (Type 2). This study helps in understanding the fuel dynamics according to the type of P. halepensis forest stand and to anticipate future biomass growth. The proposed equations are simple tools, enabling land managers to estimate understorey total fuel load easily by visually recording the cover and height of the evergreen sclerophyllous shrub component, to justify understorey fuel reduction measures.